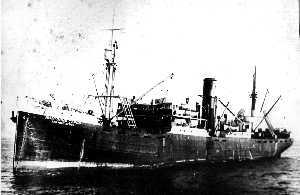 The Alma-Ata, converted at Portland to fish for king crab. We are intrigued at the number of post-war fishing boats that were built in the United States for delivery to foreign countries. According to the pages of Pacific Fisherman, one of the lend lease projects was a 360-foot crab canning vessel called the Alma-Ata. It was originally built in Rotterdam in 1920 as the Maasdijk. The Soviet government bought it in 1938, home ported it in Vladivostok. Northwest Marine Iron Works in Portland spent $2 million and 13 months converting the vessel, which was designed to fish for king crabs in the Sea of Okhotsk. It had quarters for 425 crewmen, including 60 members of the ship crew and 365 fishermen, who would fish a fleet of 42-foot boats that would set nets to catch the crab. The ship was designed to stay at sea for up to nine months. It would can and pack crab during the winter, then switch to salmon for the summer. There is a good deal of information on these vessels, and others like it, on the web and it is a reminder about the importance of king crab when it comes to the story of the development of fishing in the North Pacific. While the Americans were slow to develop the technology to harvest the giant crab, the Japanese and the Soviets were not. We’ve found an interesting paper, by Robert S. Otto, that gives far more background on this than we can hope to summarize on a blog post. The Japanese were the first to exploit king crab, as early as 1892. They built the first floating crab canneries. The Soviets also got into the king crab business in 1908, with the establishment of the first crab cannery near Vladivostok. 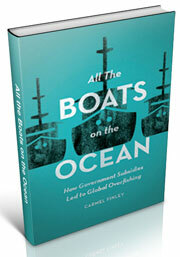 Local crab stocks were depleted and led to the development of factory ships after 1923. Soviet-processed king crab in still available today. Otto writes that both Japan and the Soviet Union exported canned crab to the United States, starting in late 1947. 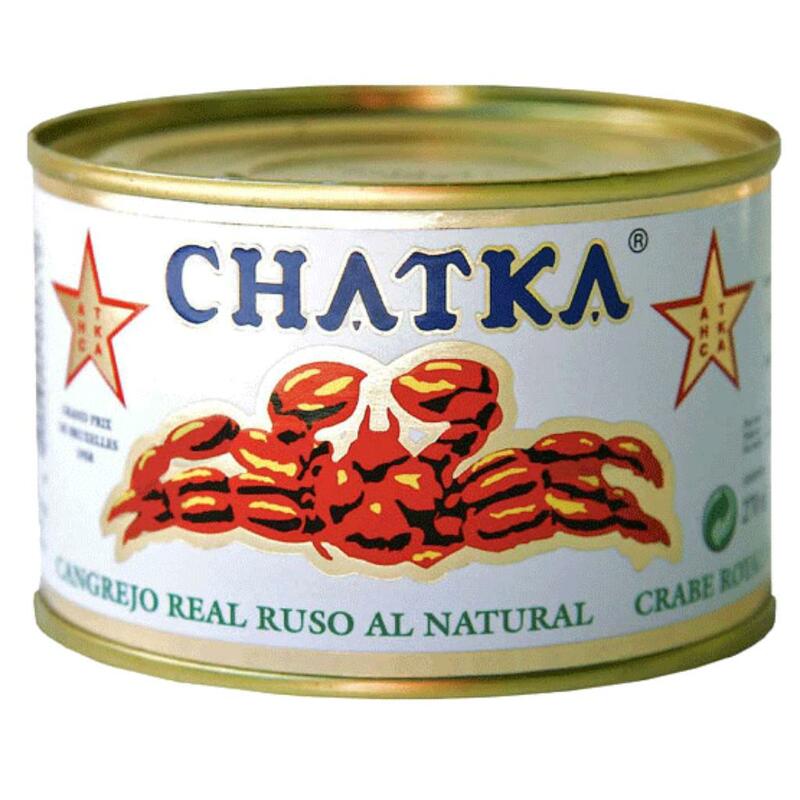 Russian crab was marketed under the “Chatka” brand name and is still available today. The Department of the Treasury banned imports from Russia in 1951, on the grounds the crab was being produced by slave or forced labor, as issue that we will research further. We have written briefly about the environmental record of Soviet fisheries and the destruction of the POP stocks off Oregon. 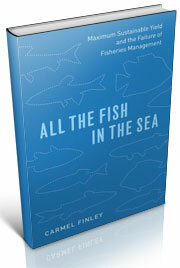 The story of fisheries development in the North Pacific is vast. It is a transnational story, involving the voyages of many kinds of people, explorers, traders, merchants, and fishermen. 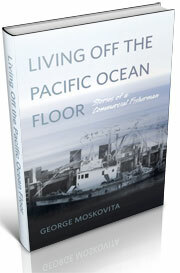 But it is also the story of the interactions between humans and the resources of the North Pacific. The development of the floating cannery was obviously a significant advance in the industrialization of fishing. And it had enormous impact, not only on sardines and salmon, but on king crab stocks as well. “Made in America—Alma-Ata—Russia’s Great Floating Cannery,” Pacific Fisherman, April, 1946, 35-37. Robert S. Otto, “History of King Crab Fisheries with Special Reference to the North Pacific Ocean: Development, Maturity, and Senescence,” in King Crabs of the World: Biology and Fisheries Management, edited by Bradley G. Stevens, (Boca Raton: CRC Press, 2014), pp.81-138. This entry was posted in boat building, Carmel Finley, Cold War, Environmental History, Fisheries policy, Fishing, History of Science, History of Technology, Japanese fishing, Maritime History, Pacific Fishing History Project, SCAP, Soviet environmental history, Soviet fishing, Soviet history' and tagged Alma-Ata, groundfish, king crab, Lend-Lease, Pacific Fisherman, Pacific Fishery History Project, Robert S. Otto, Tondeleyo, trawling. Bookmark the permalink.